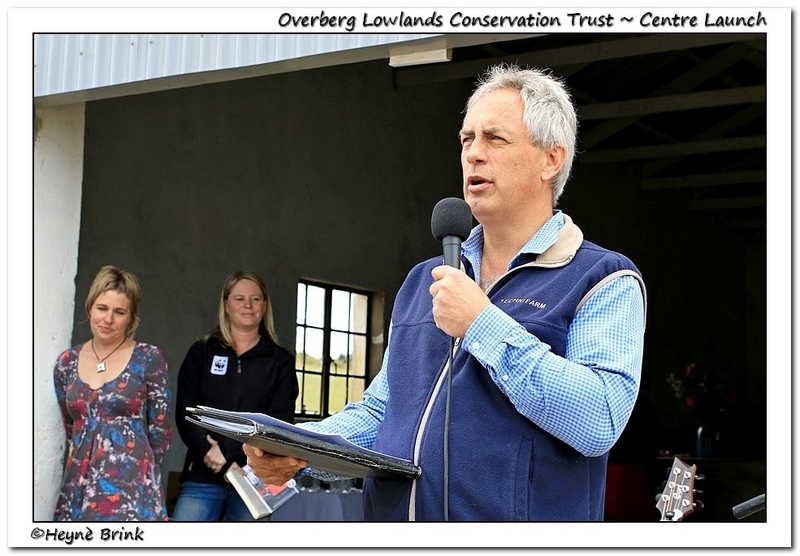 On Saturday 6th September 2014 the Overberg Lowlands Conservation Trust (OLCT) celebrated the launch of the world’s first and only Renosterveld Research and Visitor Centre on the largest protected piece of Lowland Renosterveld in the world, located between Bredasdorp and Malgas in the Overberg. 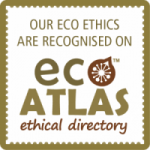 In late 2013, this flagship piece of Renosterveld was purchased by WWF-SA and the OLCT was appointed as the management authority. 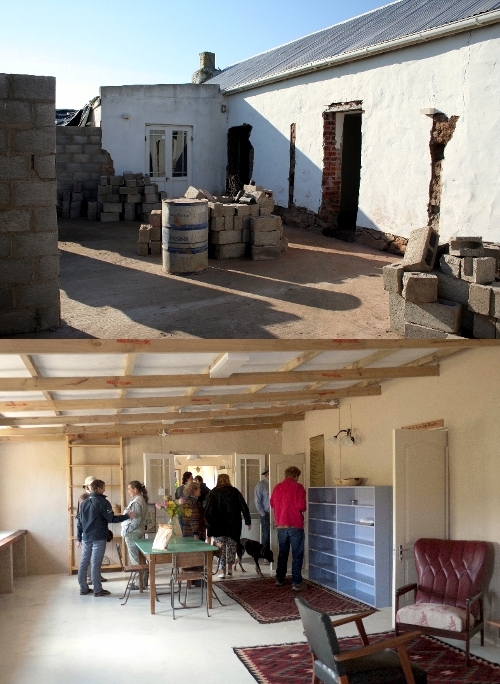 Subsequently, the OLCT raised over R400,000 to renovate the Haarwegskloof homestead on this reserve, thanks to very generous donations from a successful crowd-funding campaign. The homestead has now been transformed into a stunning Renosterveld Research and Visitors Centre – giving Renosterveld a Home. 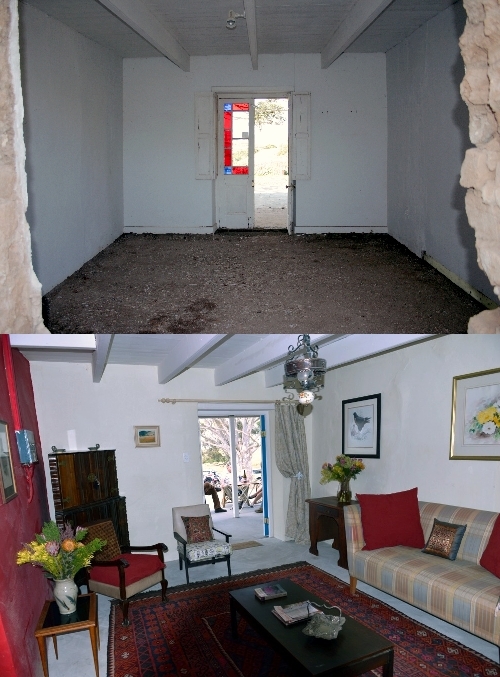 It’s been quite a journey for the whole team to have gone from a shell of a building to a fully furnished centre with four bedrooms, a lounge, library, kitchen and two bathrooms. When we arrived on Friday, there was still an awful lot to do and we didn’t think we would get the centre and the barn in any shape for the launch the following day. However, team power made it happen and on Saturday the barn was a more than presentable event location with a food bar by The Red Windmill, wine tasting with Sijnn Wines, cheese tasting by Domino Farm, and music & entertainment by Zen. Over 100 people, many who were instrumental in the establishment of the Renosterveld Reserve and Centre, joined in the celebrations. Dirk van Papendorp, Chairman of the Board of Trustees, said that it was a little overwhelming to see all these people here in support of the Trust. “The idea for a Renosterveld centre is about 7 years old and our conservation partners have helped us achieve what we have done today”. “Plans are underway to secure more land for Renosterveld conservation”, he said, “and the centre will enable us to host more national and international research students and undertake vital research on Renosterveld and its management. We must also utilize the tourist potential of our Renosterveld”. Renosterveld is under threat from inappropriate agricultural practices, including overgrazing, illegal ploughing of virgin land, and inappropriate fire regimes. This Critically Endangered veld type is extremely vulnerable to the damaging impacts of fragmentation and mismanagement, putting it at a high risk of extinction. Dr Odette Curtis, Director of the OLCT, said “in terms of pristine Renosterveld, this reserve is the largest area of Lowland Renosterveld left in the Overberg, and for that matter in the world”. The OLCT works tirelessly to secure the long-term conservation and management of the remaining fragments of threatened natural vegetation in the lowlands of the Overberg, mostly Renosterveld, through active partnerships with landowners, conservation authorities and NGOs. “When we have the people, the passion, and the partnerships this is what happens, just magic”, said Zaitoon Rabaney, Executive Director of the Botanical Society of South Africa. 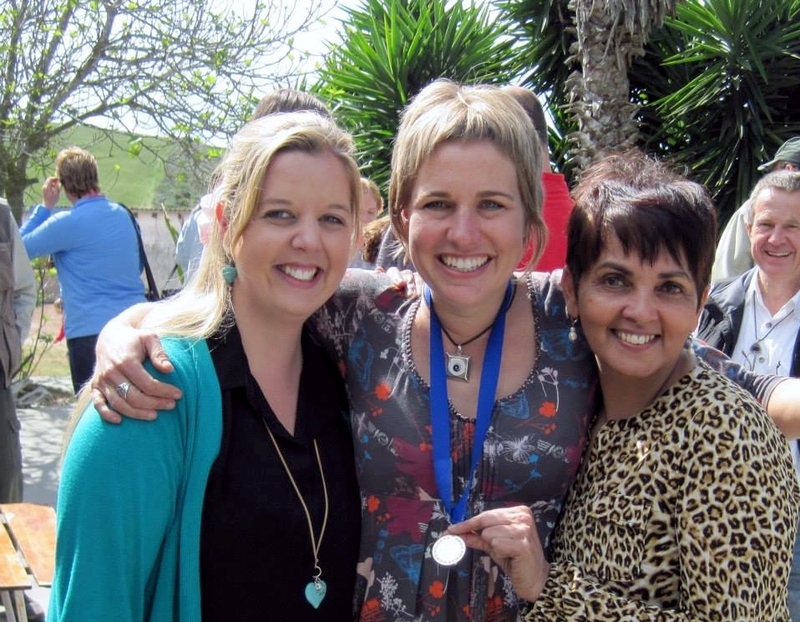 The Botanical Society of South Africa awarded Dr Curtis during the launch celebrations with the BotSoc Flora Conservation Medal in honour of her significant contributions towards the conservation of Renosterveld. The OLCT also launched a unique Sponsor a Petal campaign to raise funds for the Renosterveld reserve and centre, a Green Girls in Africa initiative. With the privilege of being the custodian of this prestigious reserve come responsibilities of overheads and maintenance, as well as the long-term aim to have a reserve manager, permanently based at the centre. People can support this fund raising campaign by sponsoring one of the five unique, rare and endemic Renosterveld petals for R450 per year and become part of the Family.